Our product range includes a wide range of plastic chair moulds, plastic moulds and dies, baby chair mould and injection moulds. With honest intentions to improve the standing we have earned in this arena, we are offering a distinct collection of Plastic Chair Moulds. We offer high-efficiency Plastic Moulds that are made by from the premium raw materials to add durability and performance. Offered dies are manufactured as per industry laid parameters. Reckoned for its remarkable performance, this range is available with us in various standard and custom made options at market leading prices. We at Neelgiri manufacturers Baby Chair Moulds. It is manufactured using quality raw materials and latest technology. Furthermore, these products are checked on various quality parameters to ensure its defect-free nature. Aiming to satisfy our clients, we are offering a quality approved Injection Moulds. 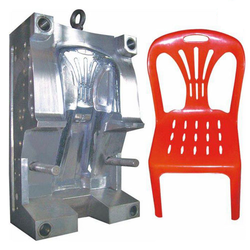 The offered injection mould is available in various specifications in accordance with the diverse requirements of customers. 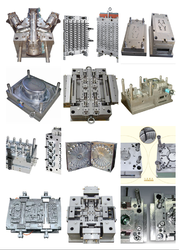 Also, this injection mould is checked on various parameters by our quality experts to make certain its defect-free dispatch. 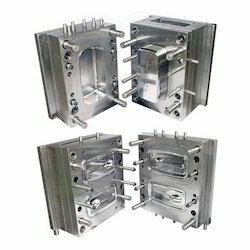 The offered injection mould is manufactured by making use of finest material & modern techniques as per the market defined norms.